After taking hotel and business courses in Japan, Seiji worked at the Ohkura Hotel in Tokyo, absorbing all the experience he could. Seiji has worked many large events; one of the most awe-inspring for him being the 1974 Japanese reception for Neil Armstrong and the Apollo 11 crew. This was an exciting time for Seiji, and his experience would take him far. Seiji has lived and worked as a sushi chef in Las Vegas and San Francisco, and has taught hundreds of students to make and prepare sushi in New York. It is a joy for him to share the art of Sushi making, one that spans centuries of Japanese tradition. 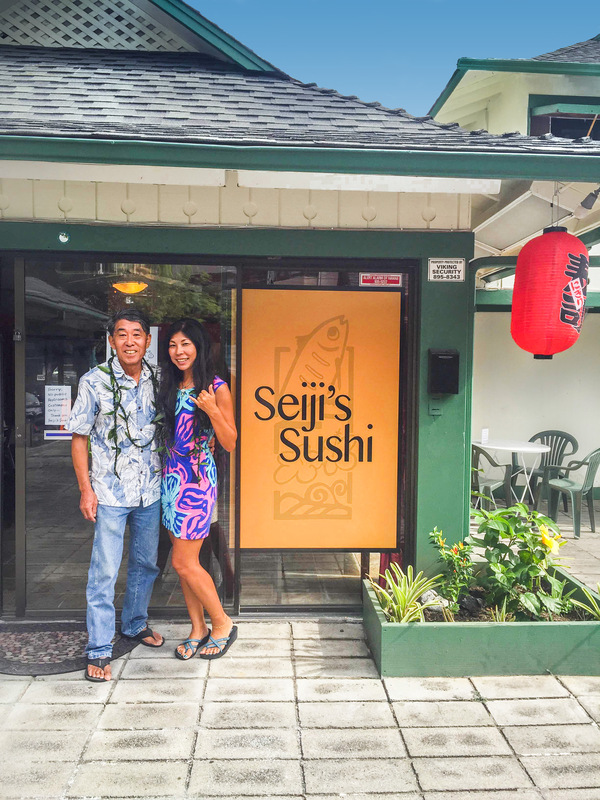 After many years of travel, Seiji settled on the Big Island of Hawai'i. Upon his arrival here, he spent much time looking for the right spot to open his sushi restaurant. He finally settled in his first location, right in the heart of Kailua-Kona. A few years later he met his wife and business partner, Chie. Quickly they decided to move the business to the current location to realize their joint vision for the restaurant. Seiji insists on preparing only the freshest fish and vegetables available. Ahi, ono, kampachi, and snapper come right off the boat, as well as other special fish that is caught and brought in to the harbor. They choose quality, locally grown vegetables from the farmer's market. We invite you to come dine with us at Seiji's Sushi. –Mahalo from Seiji and Chie. Paid parking is available next to the restaurant, but can be tight or full.